"From the proved facts of this case it appears that the provocation was voluntary on the part of the offender. Such provocation cannot come to the rescue of the Respondent to claim that he is not liable to be convicted under Section 302 IPC." The Supreme Court has observed that if the provocation was voluntary on the part of the accused, it would not attract exception 1 to Section 300 of the Indian Penal Code (Exception to the offence of murder). 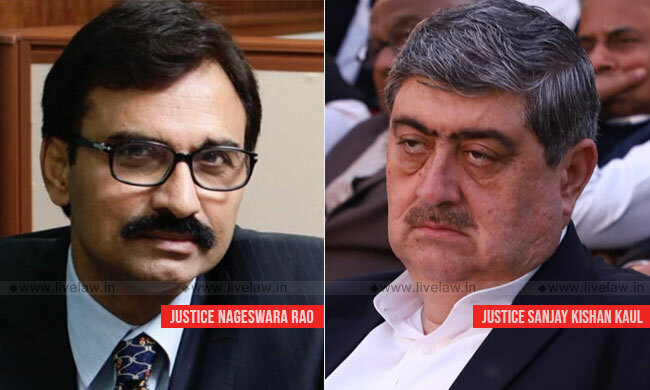 The bench comprising Justice L. Nageswara Rao and Justice Sanjay Kishan Kaul set aside a High Court judgment that had converted the conviction of the accused from under Section 302 IPC to Section 304 Part I, IPC. The Trial Court had convicted the accused for murder as it found that he had fired at the deceased from his pistol as he had a doubt that the deceased was visiting his house with an evil eye on his wife. In appeal, the High Court, while converting the conviction to Section 304 Part I, IPC, observed that the intervention of the deceased in the quarrel between the two factions had made the accused lose self control and this resulted in grave and sudden provocation. The Apex court, in State of UP vs. Faquirey, agreed with the trial court view that, after the deceased arrived at the place of incident, the accused's attention was diverted from the dispute that was being settled in the Panchayat. The court said that the accused shot the deceased in view of his past conduct relating to the visit of the deceased to his house to become close with his wife. The court said that the High Court committed a serious error in converting the conviction from under Section 302 IPC to under Section 304 Part I IPC, without proper appreciation of the scope of Section 300 IPC. The bench then briefly explained the scope of the said section, exception and the proviso. "According to Exception I to Section 300 IPC, culpable homicide is not murder if the offender causes the death of the person who gave the provocation, whilst deprived of the power of self-control by grave and sudden provocation. It would be relevant to refer to the First Proviso to Exception I which provides that the provocation should be one which is not sought or voluntarily provoked by the offender as an excuse for killing or doing harm to any person. No overt act is alleged against the deceased by which it can be stated that the Respondent was provoked. From the proved facts of this case it appears that the provocation was voluntary on the part of the offender. Such provocation cannot come to the rescue of the Respondent to claim that he is not liable to be convicted under Section 302 IPC."